I love Christmas!!! Really, that’s an understatement. Christmas time is hands down my favorite time of year. 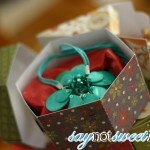 I love spending time with my family, I love to give gifts, and see smiles. I love to make great food and eat great food. I love to celebrate the birth of Jesus. Moreover I like winters in Michigan, snow and bright lights. 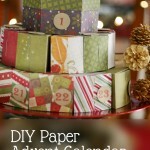 So last year, I made several Christmas Countdown Calendars this year, its this- a DIY paper Advent Calendar. With a stack of pretty papers and my Silhouette Cameo, I was able to create this based on cake wedges that people have used in weddings. 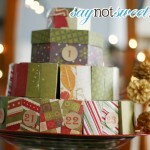 This features 2 tiers of wedge shaped boxes, 11 on each tier, and then two boxes on top to make a cake shape. The large octagon box allows for an extra special larger gift on Christmas Eve, and a little bitty one on Christmas Day (because, really- there will be PLENTY of presents on Christmas Day!). And you know i’m sharing it with you- my favorite people!! I’ve got a printable PDF for those without a cutting machine (with some scissors or a craft knife, you can EASILY make this without a machine) the .STUDIO files for those with a Cameo. 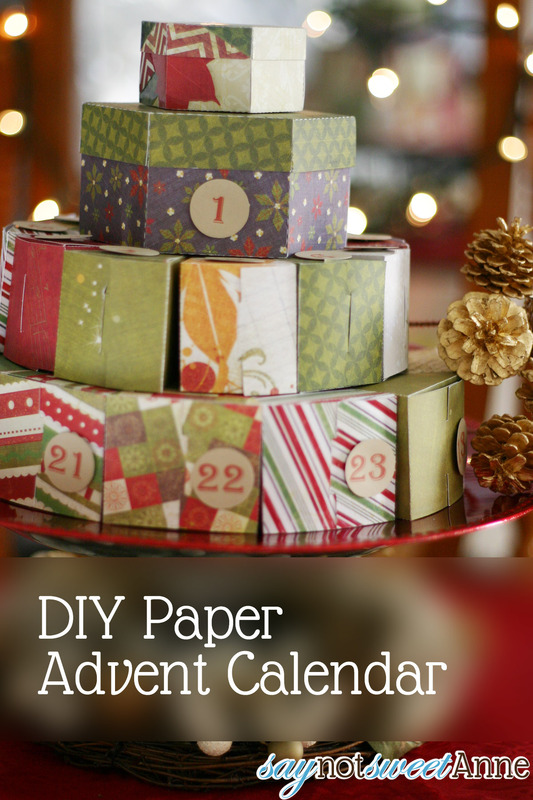 What a wonderful advent idea! The boxes are so pretty! Beautiful way to countdown to the big day!! How cute! 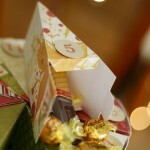 I love your advent calendar, and love how it’s tiered like that! So pretty! So fun! 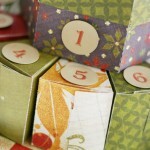 I bought this lovely one from etsy: http://www.etsy.com/listing/115230005/advent-calendar-pdf? but this is super fun too! Great that you made it to print just the template on my choice of papers. I can use this year round for other holidays or birthdays. Thank You!! !